Protecting your chickens from predators is a factor you should consider at all times. 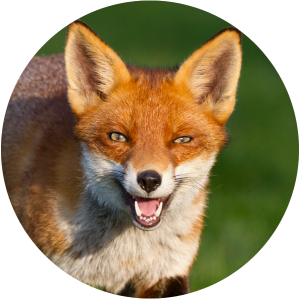 Foxes, badgers, bird of prey, pine martens, cats and dogs all have the potential to attack your flock. Apparently chickens have a specific sound they use to alert fellow hens to danger and 3 specific sounds to indicate whether a predator is approaching on land, from the air or water. 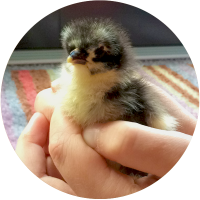 It’s important to ensure your chickens are protected at all times when they are out free-ranging. Even the shock of being chased by a boisterous dog can seriously harm your chooks and put them off lay so these things should be avoided at all costs. There are many hen keepers who have carefully introduced their cats or dogs to their flock and have found that both parties accept one anothers company and don’t see them as toys or food! These 3 animals tend to be more active in Spring as they usually have more mouths to feed. With determination these creatures can break into a wooden coop so it’s important to make sure your coop is strong and has no weak points. A fox deterrent called Foxwatch emits a 10 second ultrasonic burst which repeats until the fox leaves so having one of these near your coop and run would be beneficial. Locking your chickens away every night in a secure coop will reduce the chances of a visit by Mr fox or Mrs Badger. 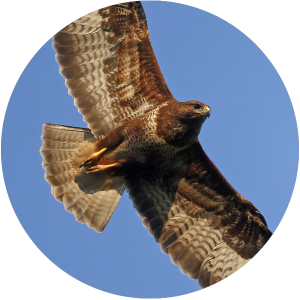 We have a few birds of prey in our area, mainly buzzards, kite and osprey and often if they are spotted over head we see the hens make a dash to the coop which is very encouraging! I believe that we haven’t had an attack from a bird of prey to date because of the obstacles (such as wooden posts which were originally put around young fruit trees) in and around the hens pen which doesn’t allow the predator much room for manoeuvre. You should check for injuries immediately and a trip to the vet will probably be required. Chickens are sensitive creatures and they’ll most definitely be in shock. So whether they are injured or not, it’s good to put them somewhere quiet, warm and dark for an hour or so (unless you have to go to the vet). Then you need to make sure they have access to food and water. Offering chopped up brown toast with a touch of marmite will help boost your chooks energy levels and assist with recovery. Adding health tonic to the water will also help your Chicken to get over the frightful experience.